Need training in Xero. How though is your training? Fit Small Business: Get Your Business Into Shape! › Forums › Ask a Question › Need training in Xero. How though is your training? We are using Xero. Need help and training. What services do you offer for Xero? 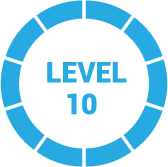 We have created a pretty comprehensive training course for Xero. There are a total of 39 video tutorials and written instructions starting with How to Set Up Xero to How to manage your sales, how to manage your bills and how to run reports just to name a few categories. The course is absolutely free and you can access it as many times as you need to. Here is the link:https://fitsmallbusiness.com/free-xero-courses/. You can also sign up for a free 30 day trial of Xero on any of the course pages.